COLD SHOT, the newest release from Dani Pettrey, is the first installment in Dani’s new romantic suspense series, Chesapeake Valor. In COLD SHOT readers meet Griffin McCray, park ranger and former S.W.A.T. sniper, as he joins forces with forensic anthropologist, Dr. Finley Scott, to investigate the death of a young social justice lawyer. Pettrey answered a few questions for The Big Thrill. Congratulations on COLD SHOT! Can you tell us a little more about Griffin McCray, the hero? What are some of the elements of his past that have made him the man he is today? In what ways is Griffin like you? Thank you so much! I’m very excited about this series and these characters. Griffin is a former Baltimore Police Department S.W.A.T. officer. When a hostage situation goes bad, Griffin blames himself and leaves for a job where he believes people’s lives won’t be on the line—but that all changes the day Dr. Finley Scott enters his life. Griffin is nothing like me, but he has a lot of my husband’s qualities. He’s steadfast, dependable, loves the outdoors, and craves excitement. Griffin’s just trying to ignore that last character trait, but as we all know you can only do that so long before it resurfaces. 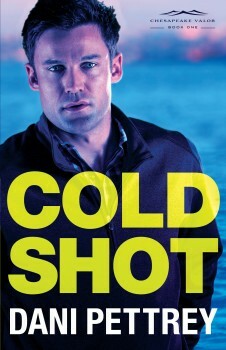 What can you tell us about COLD SHOT that’s not on the back cover? COLD SHOT is the story of four friends from childhood who suffered a loss that tore them apart as adults. Now they are back together on a case, and it’s going to retest the limits of their friendship. Like your Alaskan Courage series, the Chesapeake Valor series is considered inspirational romantic suspense. What themes do you find yourself drawn to again and again? I tend to gravitate to the universal themes of hope, restoration, redemption, love and forgiveness. Themes that are part of our daily lives, and that we all wrestle with at some time. I love to see characters grow and overcome obstacles, bringing them to a better place from when the story opened. You take readers on exciting adventures in interesting locales, including the Alaskan outback (in the Alaskan Courage series). 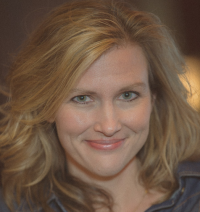 What special research is required when writing a novel? I research from a wide variety of sources. For COLD SHOT, I traveled to Gettysburg, did a personal tour with a guide who I freaked out a little when I started picking out the area a body would be found, met with experts in a variety of fields covered in COLD SHOT, read a ton of non-fiction books, and watched a lot of documentaries. I’m a visual learner so the more I can “see” a location or a skill, even if I can’t travel there personally, helps me to get a good feel for the story. Please share with us a little about your writing journey. I’ve always loved writing, but it wasn’t until after I was married with two daughters and a bout with a serious illness that I really felt drawn to start. I began slowly—reading a ton of novels, seeing what worked and what didn’t, why I resonated with certain characters and not others, attended writing workshops and conferences, and started writing between homeschooling my girls and soccer practice. A good number of years later I finished a manuscript called Submerged, and shortly after attended a conference. I registered late and was unable to get any of the editor/agent appointments I had hoped before, but the first night I was there, Bethany House (my dream publisher) did a Spotlight session on what they were looking for. Afterwards I approached the presenting editor (okay, I ran full force at him) and he very graciously asked to see three chapters. Several weeks later, I got a request for a full, and a few weeks after that I was offered a contract. Submerged, the first in my Alaskan Courage series, released in May of 2012. What’s your writing process like? Has it changed over time? I’m not an outliner or planner. I have a general idea of the premise of the story, and what the main inciting incident is. Then I sit down and start writing. I never know the ending until I finish the final draft a few weeks before deadline. As I mentioned earlier, I’m a visual person so I tend to “see” the scenes playing out in my head like a movie as the characters come to life and I write the story down. Writing this way means lots of rewrites and layering, but it’s the process that works for me. Study the craft, write regularly, and be patient. Getting published can take time. In my case it was seven years. Never give up on your dream. Never write a manuscript and then sit and wait. Get started on the next one. You learn best by practice; your writing gets stronger with each manuscript. Keep going. In my office, which is a sunroom off my kitchen that I transformed into my space a number of years ago. It’s so full of light and I have the best view of a pond and trees. Plus it has my coffee station. No office is complete without one. Next is a novella project that I am ecstatic about because I get to work with my mentor Dee Henderson and awesome author Lynette Eason. To learn more about Dani, please visit his website.